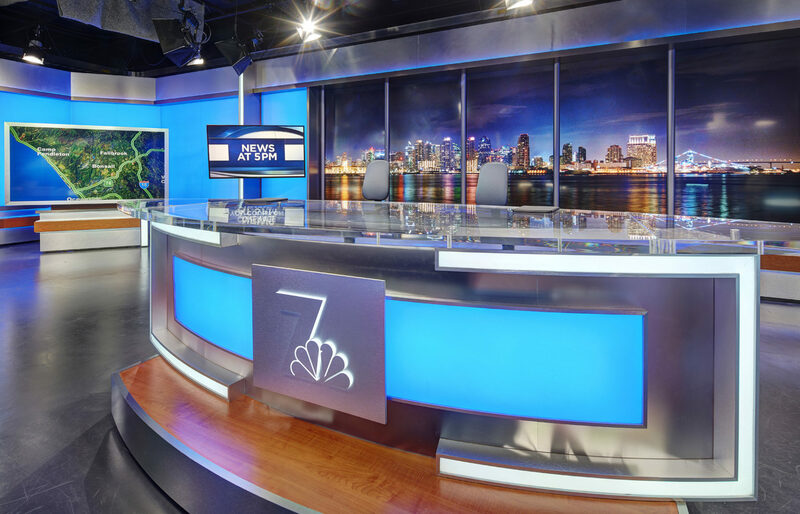 Dempsey Construction was selected by NBC 7 San Diego / KNSD to build their new state-of-the-art broadcast facility located on Granite Ridge in Kearny Mesa. 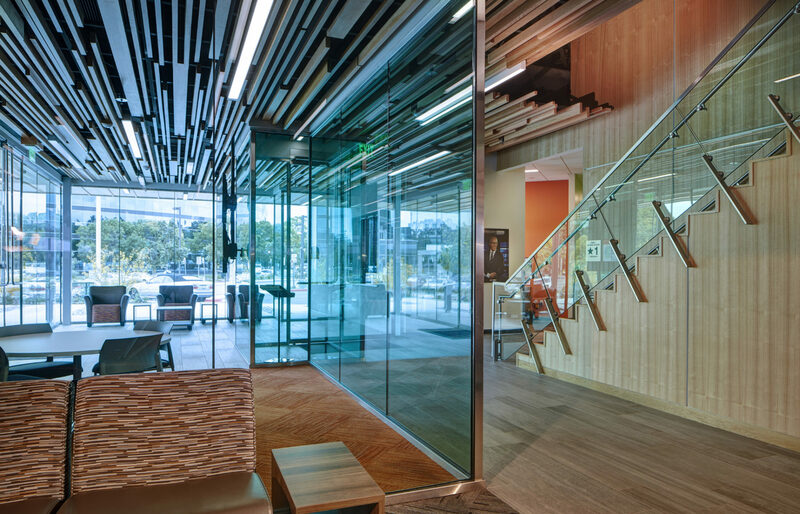 The new facility occupies a 2-story office building situated on 2.3 acres of land. The new state of the art broadcasting facility is touted as one of the most advanced broadcasting centers in the Country and features ultramodern studios, two control rooms, the market’s first 4K video wall, wireless camera and audio system to shoot live video anywhere on-site, hardened power and cooling facilities to maximize the viewer experience, raised access flooring throughout, multiple backup auxiliary power systems and enhanced security installations included card access entry and ballistic glass. 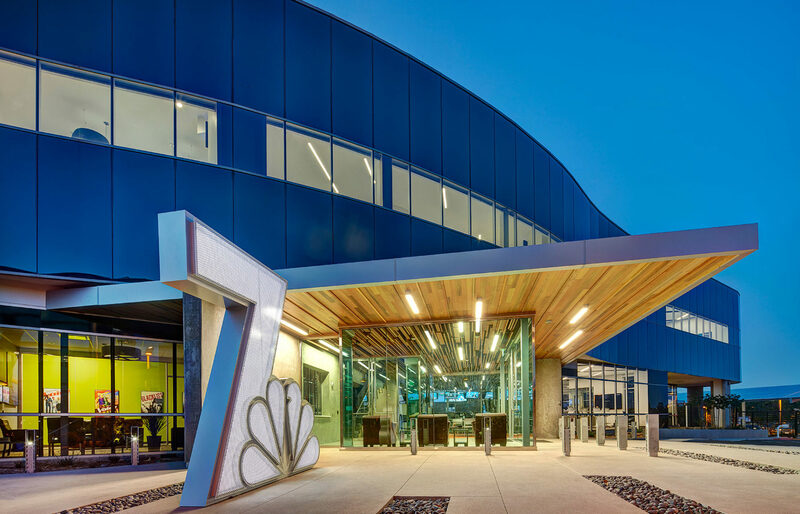 In addition, the facility also features several energy efficient elements such as a 250 KW natural gas fuel cell, LED lighting throughout, natural light via solar tubes and skylights, automated light-sensor driven window shades and solar panels. 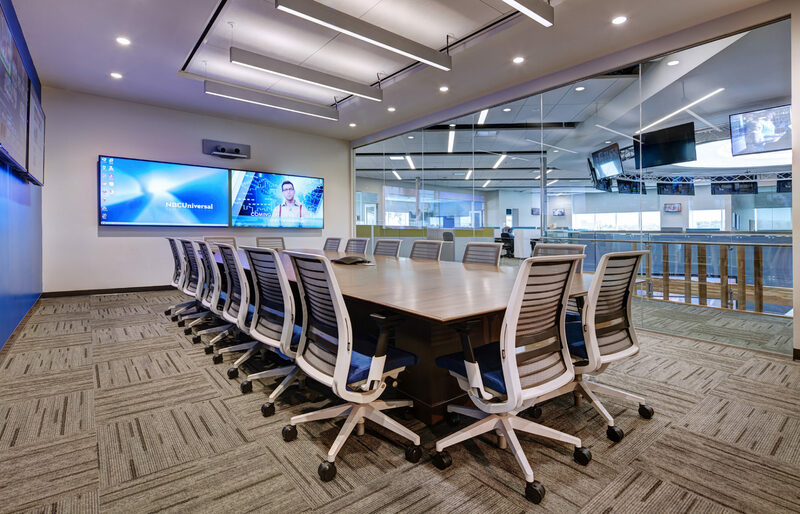 The building contains 13.6 miles of electrical cable, 117 miles of Ethernet and TV cable, 80 miles of wire and 10 miles of conduit. 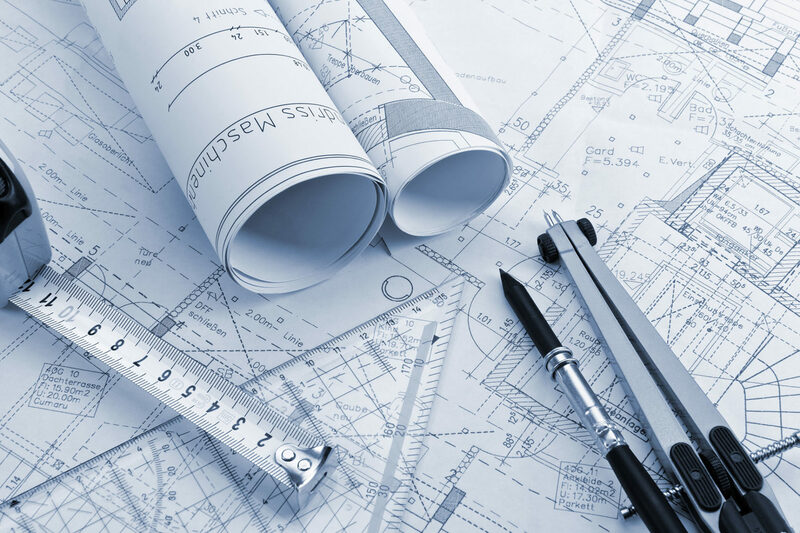 Dempsey Construction provided extensive pre-construction services including development of a master budget, master schedule, value engineering and cost-savings, and coordination with designer, Carrier Johnson, on providing NBC with real-time cost estimates as the project design developed.